Holiday Gift Guide: What's On My List! Here is what’s on MY Christmas list this year! Almost (if not all) items should qualify for shipping in time for Christmas, order online and pick up in store, OR can be shopped for in store for anyone doing last minute shopping like me! Round Wood and Wire Tray - Hearth & Hand™ with Magnolia (Target) - Really wanting this gorgeous tray to corral some items on my counter to make it look a little more tidy! Stila - With Flying Colors Mini Stay All Day Liquid Lipstick Set (Sephora) - Love Stila products! I’ve heard so many great reviews on these and the set comes with great winter colors! Definitely want to try! SodaStream Starter Kit (Target) - I’d love to try out the SodaStream for sparkling water anytime and to mix with lime/lemon juice, essential oils, etc. The blush pink color is really pretty, but the white color is nice to blend in a little more in the kitchen. Fresh Sugar Lip Treatment in Bloom (Sephora) - I have the Rosé and Petal colors, but want a color for something for winter. Very hydrating and give some color without being too intense -very needed for a typical dry winter day! Brim 8-Cup Pour-Over Coffee Maker (William Sonoma) - I have been looking for a new coffee maker forever (mine is literally spilling all over he place) and I really love pour-over coffee. This coffee maker has great reviews, sleek design, easy to use, and 20% off! Probably at the top of my list! Supernova Electric Aromatherapy Diffuser - A gorgeous diffuser I’d love to have on my kitchen counter! Another item at the top of my list! It has timer options and automatic shut off. Nespresso Aeroccino 4 Milk Frother (William Sonoma) - I use to have the William Sonoma version of a milk brother, but a piece on it broke and it wasn’t able to be fixed, so I want to try the Nespresso version this time. I’ve been missing having a frother for my Nespresso lattes! Medium Leather Transport Tote (Madewell or Nordstrom) - I’ve been looking at this all year! I have a few larger summery/casual bags, but nothing that is more sophisticated and polished. Homebody & Magnolia Table books (Target online or in store, or Amazon) - Homebody looks like a great design book and I’ve seen a few people share recipes from Magnolia Table that look so good! Kayla Nord Wanderlust Globe (Anthropologie) - Super cute decor option for a travel lover like me! And really, I love almost any decor, accessory, or candle from Anthropologie! Leather Charger Roll Up - Blush Pink w/Initials (Mark & Graham) - Super cute to throw in that Madewell Transport Tote for charger cords! Electric Bottle Opener (Amazon) - I’ve seen these around and after watching my friends use them over the past year I definitely need one of these! So easy to open stubborn wine bottles! This one has great reviews! The Young Living black Friday sale goes live today at 9AM CST! Many of the oils (50 top user favorites) and most diffusers are on sale! Young Living products very rarely go on sale, so this is definitely the time to stock up! I put together a list of my favorite diffusers, along with oils and products I order again and again! Starter Kit: The starter kit is a MUST HAVE! It’s the very best option to introduce you to the world of essential oils and clean living that helps support your body. It includes so many of the essential oils you’ll use regularly, a choice between two diffusers (or upgrade to the Aria for a significant discount), along with a couple packets of Ningxia to try (fantastic antioxidant + immune support), and a packet of Thieves to make your own household cleaner! Once you get the starter kit and sign up as a member, it allows you to get 24% discount on all Young Living products! It also allows you to sell Young Living, if you would like - but you don’t have to! Once you start using the products and see how they support your daily life, you may decide you want to share with your family and friends! *Aria Diffuser: This is my favorite diffuser! I upgraded to this diffuser when I purchased my starter kit (since it was the most affordable way to get it at the time). I have this in my living room where I see it daily and with this sale I’m totally purchasing another one to go in my office with this sale! It has LED light settings, timer options, a speaker that plays soothing music or hook up your own device, and a remote. Orb Diffuser: I love this mini diffuser! It has a USB port so can go in an office or in the car! The oils use a cotton reed to soak up the oils and diffuse, so it won’t easily spill. *Rainstone Diffuser: ON SALE! Great diffuser for a boy’s room or if you have a lot of black/white decor. 5 time settings, five soft LED light settings, and a remote. *Desert Mist Diffuser: ON SALE! This is one of the diffuser options that comes with the Starter Kit. Lots of color options and run time. Looks great and blends in with other decor. *Lantern Diffuser: ON SALE! Made of metal and glass, offers long run times, multiple diffusion settings, and 11 LED colored light options. Very cute for a girls room or porch/sunroom! *Christmas Spirit: MUST HAVE all the way through until Christmas (or even all winter)! Northern Lights Black Spruce: (combine as above, or even all by itself)! Great oil to add to a winter blend. Neroli: I combine this with Jade Lemon for a fantastic summery scent! It’s not super seasonal though, I just used this combo last week! Definitely my top 5 rotation! *Bergamot and *Sacred Sandalwood are also great to mix for an anytime scent. Jade Lemon: Such a great blend with so many oils! This isn’t quite as lemony as the plain scent, which is why I like this one better for diffusing. You could also use regular *Lemon, but I prefer that for cleaning! *Rose: This is the perfect time to buy this more expensive oil since it’s on super sale! I really want to play around with this oil and make my own perfume! I’m planning on combining with Neroli, but I need to find another couple oils I like with it! *Cedarwood: I combine this with lavender every night before/during sleep! *Lavender: Staple oil!! This comes in a starter kit, but I’ve purchased many, many times since! I use this in my nightly blend, but it has so many great uses including calming the mind and skin! It even can help calm pets in stressful situations when diffused or held up to their nose briefly! Definitely a must-have and a great time to stock up! Thieves Hand Purifier: Great alternative to anti-bacterial sanitizer! Leaves hands clean and soft. I have this in all my bags, car, etc. Thieves Foaming Hand Soap: I love this foaming hand soap. Leaves my hands soft and is a little immune boost at the same time. *Thieves: Another oil that comes in the starter kit and another must-have oil you’ll purchase again and again! Great to diffuse this time of year to help keep colds away or lessen the length of time and symptoms since it is a natural immune defender! Thieves Automatic Dishwashing Powder: I just started using this dishwasher powder about a month ago. I haven’t had any issues with dishes coming clean and love that there isn’t any harmful chemicals washing my dishes! Thieves Household Cleaner: I use this everywhere around my house instead of any other cleaners. Can be combined with water as a kitchen counter (etc.) spray, or different dilutions and mixes to take care of everything from the windows to a shower/toilet scrub!! Works wonders, all natural, and immune defense all together! Thieves Laundry Soap: Especially great for sensitive skin. Works wonders on stains and keeping whites white, a little goes a long way, and if you have a baby you can wash all the clothes together - no need for a separate detergent! Thieves Dish Soap: Bonus! Forgot to include this in the photos! I use this on all the dishes I hand wash and don’t have to worry about any chemicals soaking into my hands while washing (or possible soap residue left on the glass). If you’d like to get involved with oils (buying for yourself or selling), it’s best to sign up as a member and purchase the starter kit. YOU DO NOT HAVE TO SELL OILS OR PURCHASE MONTHLY OILS AS A MEMBER! Being a member just means you are getting a starter kit for more than 50% off (!!) & will get 24% off retail prices on every oil, forever (totally worth it)! To sign up, ORDER HERE and make sure the number 15597076 appears in both the “Enroller” and “Sponsor ID” fields and choose wholesale member. There is more information on why I chose Young Living here. If you have any questions about the membership or how to purchase items, please feel free to contact me via email (sabrinareisphotography@gmail.com) or the contact form, comment below, or DM me on Instagram! Today I am sharing my first ever holiday gift guide! All of these products I use regularly and LOVE. I have a brief description of why I love each item, along with a link below. Comment below with your favorite beauty items you think would make a great gift or if you share my love for an item! I am working on more gift guides as well! Let me know what you’d like to see! Aquis Microfiber Hair Towel: These are the only towels I use on my hair! I even pack one when I travel! They are so soft and help dry my hair quickly and gently. Most towels are actually quite damaging to hair. BeautyBlender: I use this every day to apply my foundation. Tip: I get my BeautyBlender wet, squeeze it out so its damp, then apply my foundation. Less product waste and more even coverage. I use this unscented castile soap to clean them. T3 Cura Hair Dryer: I recently got this hairdryer after a lot of research when mine died a couple months ago. I LOVE it! Dries my hair quickly, isn’t super loud, has all the functions it should (a couple heat settings and cold shot button), and leaves my hair much softer than my last blow dryer. T3 Single Pass Curl 1.25”: I just got this after wanting a 1.25” barrel curler for months. I love my 1” Hot Tools curling iron, but this larger barrel give a more relaxed look. Too Faced Natural Eyes Neutral Eyeshadow Palette: This is my go-to eyeshadow palette. Every color is usable and beautiful. Neutral with a lot of options for a minimal day time look or a night out/holiday look! Sigma Brush Cleaning Mat: I use this mat weekly to clean my brushes (with the above mentioned soap). It has suction cups so it doesn’t slide around in your sink and little sections for different types of brushes. I found it cleans them significantly better then running them through water and swirling on my hand/cloth. Too Faced Natural Face Palette: Also a go-to for blush and bronzer. Beautiful colors and again, can use anything. Primally Pure Deodorant: After searching high and low for a deodorant that is natural, actually works, and doesn’t cause irritation, if FINALLY found one I LOVE! I have tried the charcoal and Lemongrass scents and want to try the Blue Tansy next time I need a refill. T3 Whirl Trio Interchangeable Styling Wand: This is the only product I have not tried, so it is on my Christmas list!! After hearing great things about it and using other T3 products, I’m positive these wands are great! I love that you can switch out the wand depending on the style you want! Fresh Sugar Lip Treatment: These lip treatments are great for soft lips with a touch of color. They’re great year round, but especially perfect for winter months when its dry! Rosé & Bloom are my favorite shades! Stay tuned! I am working on more gift guides which will be coming to the blog soon! Let me know what you’d like to see! Amazon Prime Day - Last Minutes Sale Picks! I know it's late in the sale, however I wanted to quick share some of my favorite picks from the Prime Day sale! There are some great deals on products I've been wanting to get for a while now and finally scooped up or already have and love! Furbo! We LOVE our Furbo! It's a fun way to check in on our pets while we're gone and give them some snacks! We especially love this while we're out of town! It gives us a little peace of mind being able to see them go about their day while we're gone. Dyson V7 Animal Cordless Stick Vacuum: We have a similar vacuum and LOVE, LOVE, LOVE it! It is fantastic for vacuuming up dog hair, tiny pieces of litter the cats track around, crumbs, etc. I would HIGHLY recommend for anyone with wood floors! We also use it on our rugs and carpet and it works great as well. We specifically have the Dyson V8 Absolute Cordless Stick Vacuum - click this link, then search if you'd like to see that option, it won't let me link! iRobot Roomba 671 Robot Vacuum with Wi-Fi Connectivity, Works with Alexa: We have this at the pet hospital I work at and it works great! Milumia Women's Button up Split Floral Print Flowy Maxi Dress: This is such a cute maxi dress and comes in SO many colors!! I've been waiting for it to go on sale to purchase a couple more prints! - Super Power Sunscreen Mousse Spf 50, 7.1 fl. oz: 20% OFF at checkout! The mousse is my favorite. You apply it into your hand like hair mousse, then rub it on your skin like you would any other sunscreen. It dries quickly, isn't sticky (like hair mousse would be), and leaves no residue! It doesn't feel like I'm wearing anything, but gives great coverage! - Sun-Defying Sunscreen Oil with Meadowfoam SPF 50, 5 fl. oz: 20% OFF at checkout! The oil sunscreen is (shockingly) my husbands favorite sunscreen. EVER. He hates the feeling of lotion, so I was skeptical when I brought this on our Hawaii trip. He LOVES it. It sprays on and he just rubs it in. It dries very quickly and definitely doesn't leave any oily residue. Matt said it feels like he isn't wearing sunscreen. Since it's a spray, it's also easy to reapply! Matt even keeps a mini bottle in his car! - Antioxidant-Infused Sunscreen Mist with Vitamin C SPF 50, 6 fl. Oz: 20% OFF at checkout! This is my favorite for quickly touching up throughout the day, after my initial application. It sprays on easily and I just rub it in! This one is a little white upon application, but doesn't leave a white cast once it's all rubbed in. Wet Brush 2 Piece Original Detangler Hair Brush: This is the only brush I ever use! It glides smoothly through my hair and detangles it without damaging hair. Clarisonic Mia 2, 2 Speed Facial Sonic Cleansing Brush: I use this a few times a week to get a deeper clean and exfoliation. I also have softer brushes that are a more gentle exfoliation. Stone & Beam Contemporary Textured Jute Rug: 2 sizes and colors available! Love jute rugs for layering! Put this under a cute rug matching your decor! Stone & Beam French Laundry Stripe Pillow: Comes in a couple different sizes and colors! Stone & Beam Modern Metal Sconce, Brushed Bronze: SO cute! Contemplating putting these on the either side of our bed. We've been on the hunt for cute sconces! Ring Video Doorbell Pro, Works with Alexa: I know quite a few people that have this and love it! We've been debating on getting this one for a while! 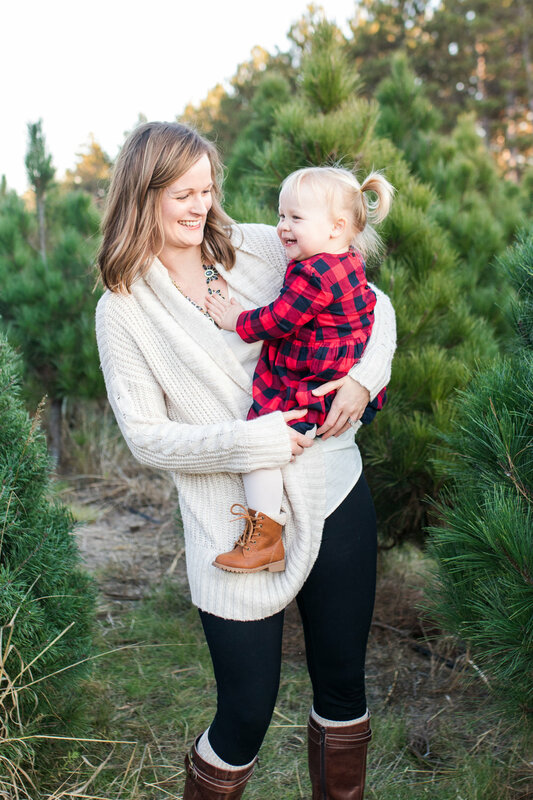 It's time to schedule your Tree Farm Mini Session before they're GONE! 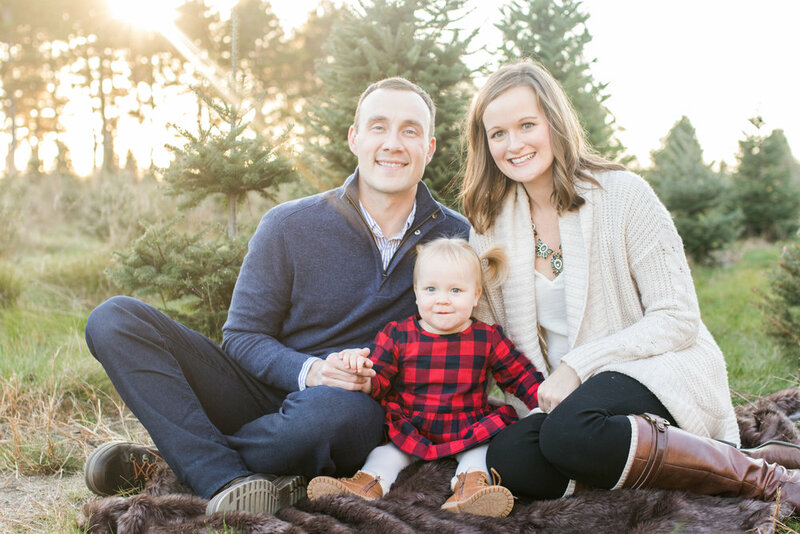 Mini sessions are a great time to update your family photo or cross the holiday card photo off your to-do list! I'm already getting emails to purchase holiday cards! 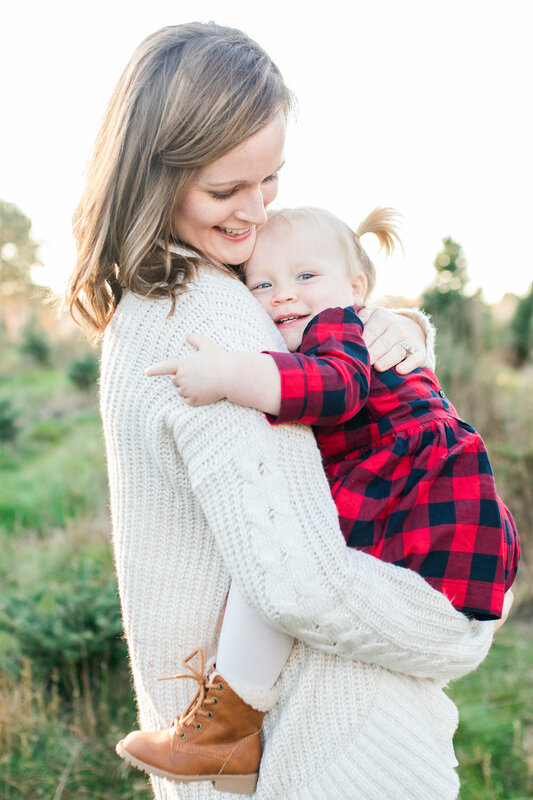 I also love when you use mini sessions for your anniversary portraits or to capture your kids milestones who are growing and changing way too fast! I have limited spaces for tree farm minis!! You can find all of the details below and be sure to grab your spot today, mini sessions sell out fast! Be sure to sign up for my email list if you'd like to be one of the first to know about mini session launches next year, as well as other updates and information! I cannot wait to see your family!! 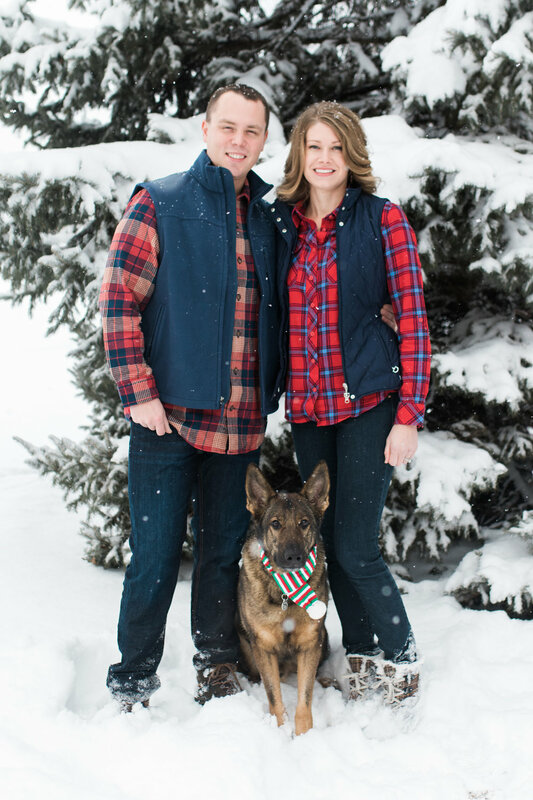 Option to purchase holiday card design (and cards)! Please let me know if you're interested in more information when booking! To reserve your spot click the button below! Quick Tip: The closer your session is to sunset, the closer you are to Golden Hour, a magical time of day as the sun sets and creates the most beautiful lighting! All you need to do is choose your desired time and answer a couple questions! Next you will receive a confirmation email from me with your secured spot time as well as payment instructions. If a deposit is not received within a weeks time your spot will be re-opened up. I know we all have good intentions on doing things right away, but sometimes we get side tracked and forget!! I'll be sure to send you a reminder a day or two before your spot would be re-opened.